This time of the year, Hollywood rolls out its big-budget films. Monsters and superheroes are framed by spectacular special effects on IMAX screens, and the industry's big stars flex their muscles, figuratively and literally. Most of these movies promise chills and thrills for not a small fee at the box office, and though they are not usually Oscar heavyweights, they are meant to quench theatergoers' summer thirst for adventure. Some of the industry's big-budget flicks look promising for their originality and good acting and for their revival of classic movie franchises. Filmmaker Ridley Scott returns to his iconic Alien franchise with his new Alien: Covenant. It takes place 10 years after his 2012 Alien film Prometheus, which did not fare that well among the diehard fans of the sci-fi horror franchise because it veered off the monster plot line of the genre. Now, in Alien: Covenant, Scott returns to his fiendishly intelligent and indestructible xenophorms preying on humans on a distant planet. To the delight of Alien fans, Alien: Covenant bursts out following the same formula as the original Alien film almost 40 years ago. Crew members of a colony ship are lured to an unknown planet after they receive a human signal. When they land, they discover Earthlike living conditions, but what looks at first like a haven soon turns into hell. The crew is decimated by the horrific acid-dripping crustaceans. Katherine Waterston, who plays Daniels, a terraform expert and captain of the ship, resembles Sigourney Weaver's Ripley, the heroine of the original films. The designs of the creatures are as horrific and awesome as ever, and the 3-D IMAX technology adds detail to the gruesomeness of their attacks. 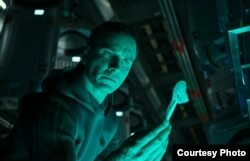 Michael Fassbender adds a Shakespearean tone with his dual role of two identical-looking "synthetics," as artificial intelligence is called in the film. The upgraded synthetic, Walter, is part of the crew and human-friendly, while David, the first version stranded on the planet, is ruthless and destructive. The film's story line is meant as a prequel to Scott's original Alien trilogy and the opening chapter to new Alien sci-fi horror installments. And though Scott sacrifices originality for form, Alien fans will probably love it, and Hollywood will likely cash in. After the unexpected success of the original Guardians of the Galaxy, filmmaker James Gunn makes a bigger, flashier sequel with the same cast, as the guardians are embroiled in new adventures. Guardians of the Galaxy Vol. 2 mixes action with raunchy humor and relies on the successful chemistry among the cast of bankable actors such as Chris Pratt, Zoe Saldana, Dave Bautista, Bradley Cooper and Vin Diesel. The impressive visuals and 1970s rock music aim to attract moviegoers of all ages, a formula that has proven very successful for the movie industry. So far the sequel has grossed over $630 million. One of the most anticipated superhero blockbusters this summer is Wonder Woman. 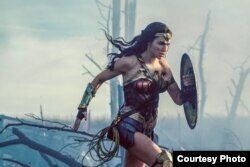 As a woman herself, director Patty Jenkins creates a dynamic female superhero, an Amazon princess who leaves her realm to go and fight a war to end all wars. Wonder Woman is fleshed out by actress-model Gal Gadot, who also served as a combat instructor in the Israeli army. Gadot promises to make this DC Comics superhero memorable for many sequels to come. Chris Pine plays Colonel Steve Trevor, a male sidekick, offering Wonder Woman all the adulation and adoration she deserves. If Wonder Woman is meant to show female moxie, Gadot has got it. Tom Cruz headlines the revamped The Mummy and shows off some wicked stunts while chasing the resurrected malevolent creature in ancient tunnels under modern London. Sofia Butella plays a convincing mummy, a role first played by Boris Karloff in 1932. 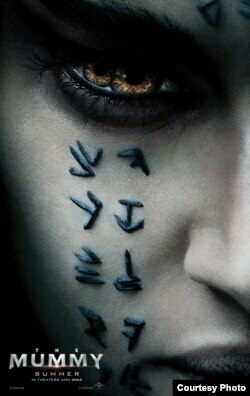 This is the first time the mummy is fleshed out by a woman. Butella plays ancient Egyptian Princess Ahmanet who wakes up from the dead and unleashes her rage on humanity because her father broke his promise to her and did not make her Pharaoh. 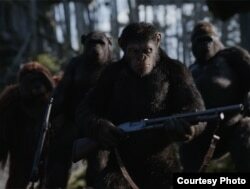 In War for the Planet of the Apes, Andrew Serkis reprises the role as simian leader Caesar in a motion capture suit (which creates a special effect that blends human and ape features), who rises against humans to avenge his kind. Woody Harrelson plays the diabolical colonel set to destroy Caesar and the apes once and for all. The success of this franchise, mainly due to special effects and Serkis' fine acting, has whetted Hollywood's appetite for another robust box office in the middle of summer.